Despite its contribution to the livelihoods of more than 300,000 individuals, to food security and nutrition in Benin, the fishery sector receives less attention from research and policymakers compared to other agricultural sectors. A study conducted among 1,066 inland fishers (including 227 fisherwomen) provided critical information about their activities, vulnerability, resilience and water sharing rules. The study recommends the development of a well-established platform where fishermen can timely express their needs, are actively involved in formulation of policies and receive regular feedback from the association concerning their proposals. regularly and timely provide feedback to the fisher community. It is recommended that the government releases resources and facilitates this transdisciplinary process by (re)-establishing such a platform to formalise and facilitate the contact between the fisher association, its members and other stakeholders. Furthermore, technical and financial support is needed to develop aquaculture activities, finance capacity building initiatives, increase credit access, organise fishers’ associations to cooperatives and facilitate school attendance to fishers’ children. 25 June 2018 Drs. 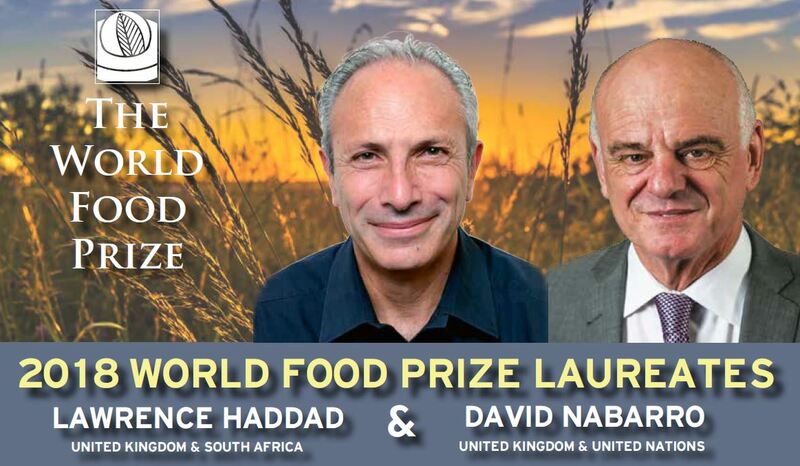 Lawrence Haddad and David Nabarro were announced as the 2018 World Food Prize Laureates during a ceremony at the U.S. Department of Agriculture. The Prize rewards their individual but complementary global leadership in elevating maternal and child undernutrition within the food security and development dialogue at national and international levels with the result of reducing the world’s number of stunted children by 10 million between 2012 and 2017. A pioneer in food policy research, Dr. Haddad brought the issue of nutrition to the forefront by using both economic and medical research to convince development leaders to make child nutrition an urgent priority in the global food security agenda while serving as head of the Institute of Development Studies (IDS) in the United Kingdom from 2004 to 2014. From 2014 to 2016, Dr. Haddad prompted further investment in nutrition by co-chairing the Global Nutrition Report, an annual review of the state of the world's progress on nutrition that encouraged greater transparency and accountability among more than 100 stakeholders who had pledged $23 billion to the fight against malnutrition. Dr. Haddad now serves as Executive Director of the Global Alliance for Improved Nutrition (GAIN), where he continues to lead private and public sector partners in improving nutrition outcomes. 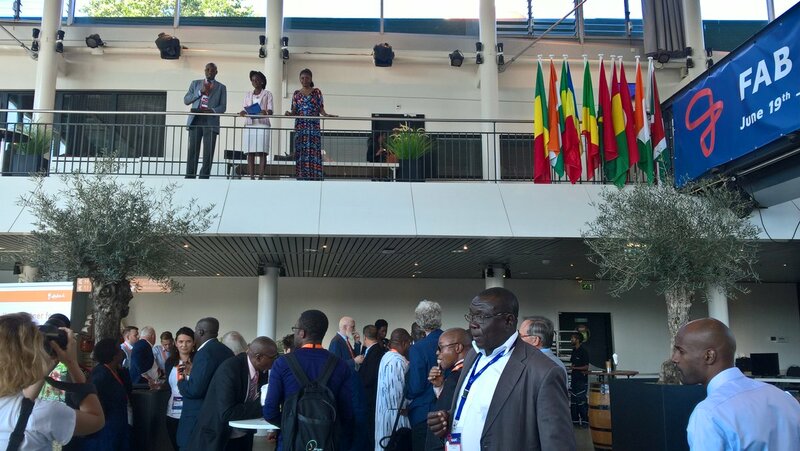 After a very successful edition last year, the Francophone Africa Business Forum (FAB Forum) was back with another exciting programme. 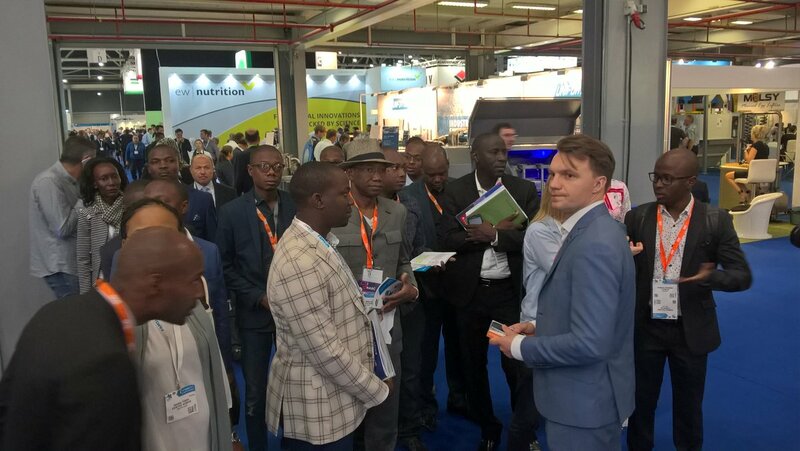 The Francophone African region, which is often overlooked in the Netherlands, offers myriad business opportunities for companies that are interested in discovering new and emerging markets. 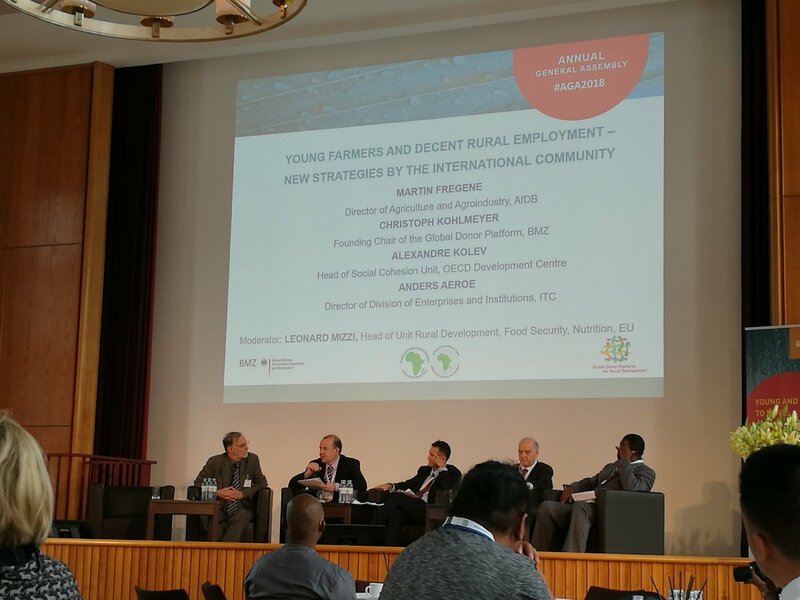 This year the FAB Forum focused on creating partnerships for sustainable value chains in agribusiness The business that enables the world to grow, trade and feed everyone utilizing the earth’s finite resources. 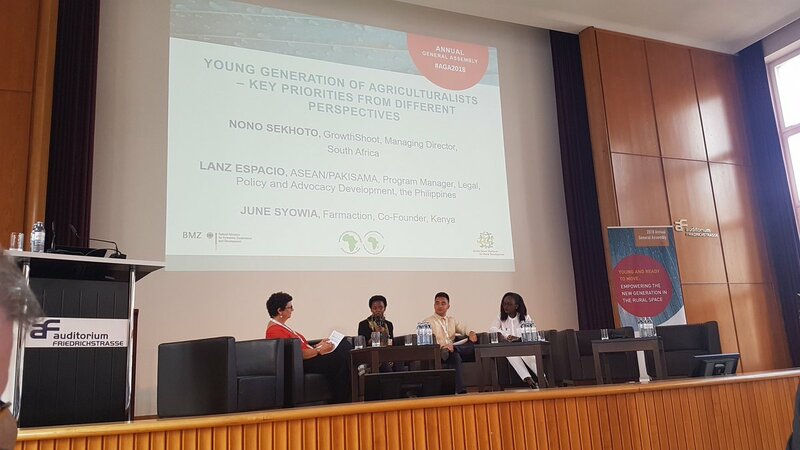 This year experts shared their insights in different sub-sectors (such as livestock, fruits and vegetables and agro-logistics) during the morning program, while it was possible to network and attend workshops about relevant topics, and be involved in facilitated B2B matchmaking sessions. How to combat post-harvest losses - AgriProFocus and BoP Inc. This course introduces the methodology and process of experience capitalization. It gives you guidance and tools to help you plan and implement your own experience capitalization process, and ensure its efficiency and effectiveness. While the units of the course follow a logical sequence from 1 to 5, depending on what your needs are, you can start with the unit of your interest. Duration: Up to 10 hours of learning, depending on learning needs. La capitalisation d'expériences est un processus méthodologique par lequel une expérience est identifiée, analysée et documentée, et qui aboutit à la création de connaissances (par exemple des bonnes pratiques ou des enseignements tirés) qui peuvent être partagées et utilisées pour générer des changements. Ce cours présente la méthodologie et le processus de la capitalisation d'expériences. Il offre des conseils et des outils qui vous aideront à planifier et mettre en œuvre votre propre processus de capitalisation d'expériences, et à assurer son efficacité et son efficience. Chaque unité remplit un ensemble précis d'objectifs de formation de 1 à 5, selon vos besoins, vous pouvez commencer avec l'unité de votre intérêt. Durée : Jusqu'à 10 heures d'apprentissage, selon les besoins. 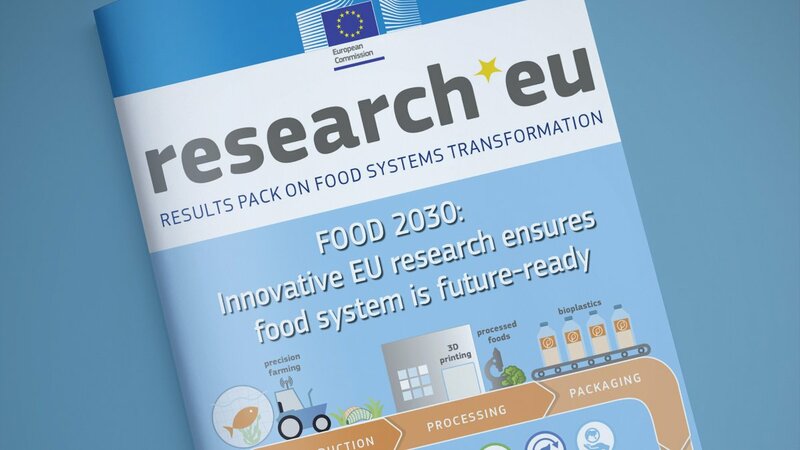 This is EC's main contribution to research and innovation in relation to Food and Nutrition Security in Europe and beyond. Its commitment to sustainability implies that particular attention is given to the interfaces between the economic, environmental and social dimensions of food production. The call advocates for food system approaches to tackle the inherent links between ecosystems, food production, the food chain and consumer health and wellbeing. Download the ENHorizon 2020Work Programme 2018-20209. Food security, sustainable agriculture and forestry, marine,maritime and inland water research and the bioeconomy (133 pages). The Global Alliance is interested in an iterative process where research informs an ongoing dialogue with diverse partners and stakeholders to inform grant-making, highlight pathways to health-focused food systems reform, as well as stimulate local and global action that promotes and amplifies the positive benefits of food systems. The Global Alliance understands all of its Impact Area work as interconnected. This collaborative initiative will complement the recently released report commissioned by the Global Alliance, Unravelling the Food-Health Nexus: Addressing practices, political economy, and power relations to build healthier food systems – written by IPES-Food (the International Panel of Experts on Sustainable Food Systems), and four scoping paperscommissioned in 2015. The work will also contribute to the work of TEEB for Agriculture and Food, a project, supported by the Global Alliance, that has developed a holistic food system valuation framework. The food-health nexus research and engagement process will also build on and complement the forthcoming Beacons of Hope work which explores food systems transitions globally. The CFH Foundation makes grants to nonprofit organizations for projects in conservation, sustainable agriculture, and health in low- and lower-middle-income countries of Africa, Asia, Latin America, and the Middle East. It prefers to support organizations located in low- and middle-income countries, or organizations located in upper-income countries whose activities are of direct benefit low- and middle-income countries. Most recent grants range from US$10 thousand to US$30 thousand. The deadlines for concept applications are 01 January and 01 July of each year. ISESCO Research Grants are awarded for high-level and promising scientific research projects in the fields of agricultural biotechnology, biological sciences, and medicinal plants, among others. Researchers are awarded a maximum amount of US$10 thousand for a period of two years. Applicants should be national residents of OIC member states and be under the age of 40 years. Applications are accepted two times per year. The next application deadline is 31 July 2018. The Erbacher Foundation supports rural development in subject areas that include livestock husbandry, crop production, drinking water, and environmental protection. The priority countries are India, Tanzania, and Uganda. Applications are invited from Germany charitable organizations involved in development cooperation. Applying organizations need to have partnerships with local NGOs. The German institution is responsible for project administration and coordination. The next application deadline is 01 August 2018. The Regional Universities Forum for Capacity Building in Agriculture (RUFORUM) is sponsoring a competition for young African entrepreneurs (less than age 40) to showcase their business innovations in agribusiness at the RUFORUM Biennial Conference in October 2018. Although the focus of the competition is agribusiness, business innovations in other themes (e.g., natural resources, meteorology, urbanization, green economy, etc.) will also be considered. The winners will have their expenses paid for travel to the conference in Nairobi, Kenya, and a cash award. Submissions are invited in English or French before 31 August 2018. Right Sharing of World Resources (RSWR) makes seed grants to support income-generating projects led by women. RSWR’s current priorities are grassroots organizations selected states and districts of India; Quaker groups in Kenya; and grassroots organizations in Sierra Leone. Projects include many in the production and sale of fruits and vegetables; meat and milk; grain crops; fish; fuelwood; and other enterprises associated with small-scale agriculture and rural livelihoods. The application deadline is 30 June. The Youth Citizen Entrepreneurship Competition is a global programme to mobilize youth-led innovations for the UN Sustainable Development Goals (SDGs), co-organized by the Goi Peace Foundation, Stiftung Entrepreneurship and Digital Experts United. Young entrepreneurs (age 15-35) from around the world are invited to submit their innovative ideas and projects. Winners of the competition will be announced at the Entrepreneurship Summit in Berlin in October 2018 and will receive international recognition. The deadline for submission is 31 July 2018. CCARDESA in collaboration with the University of Mauritius is implementing a regional training course with support of the German Development Cooperation (GIZ). The objective of the training is to strengthen the capacity of the SADC member states for climate change adaptation in agriculture and climate smart agriculture. 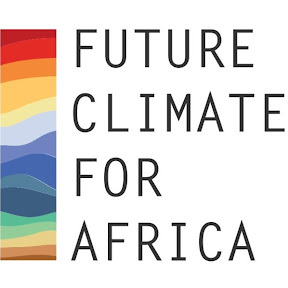 The Climate Justice Innovation Fund (CJIF) is open to any Scottish-based organisation, working in partnership with in-country partner(s), to support the delivery of climate justice-related projects in Malawi, Zambia or Rwanda. Projects can apply for up to £100 thousand over three years. Deadline 29 June 2018. Project requests to host scholars are submitted by universities and other higher education institutions in Ghana, Kenya, Nigeria, South Africa, Tanzania, and Uganda. Past scholars in the program have included several in agriculture, environment, and related disciplines. The next application deadlines are 06 July 2018. 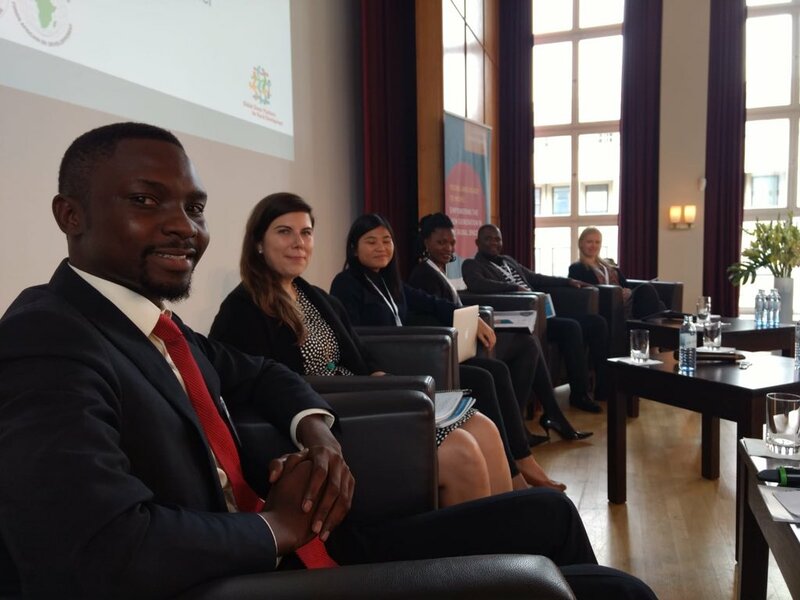 The UNFCCC–UNU Early Career Climate Fellowship Programme offers young people from developing countries the opportunity to start their career at the interface between international climate policy development and research. Deadline: 16 August 2018. BioInnovate Africa Fellowship for Women Scientists. Nominations should only be made relating to achievements made by a female entrepreneur and national of an African country. Nominees can be nominated or self-nominated. The deadline for nominations is 02 July 2018. Companies, NGOs, government agencies, and educational institutions worldwide are welcome to submit an entry in one of nine available categories, including ‘Countryside and Biodiversity’ and ‘Marine and Coastal’. Deadline 30 June 2018. The Award is for young entrepreneurs trying to address real technological and social needs by creating goods and services that enhance the well-being of communities around the world. Past winners include projects in the field of water management, disaster-relief and biotechnology, among others. Deadline 30 June 2018. 18-19 June 2018. Brussels. 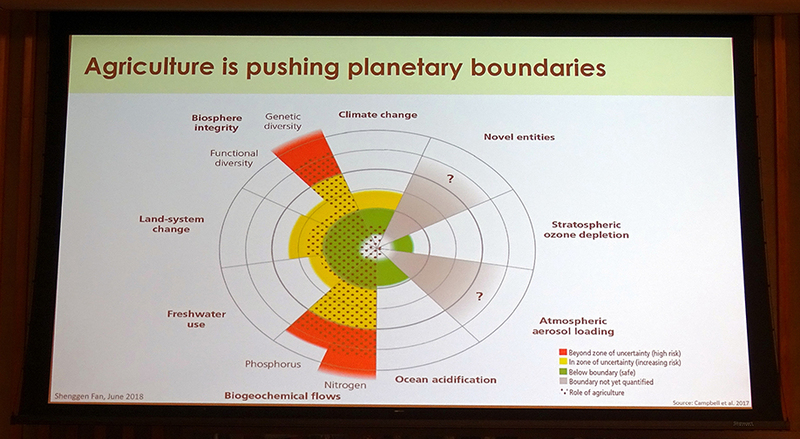 A workshop was organized together with the Belmont Forum to continue the scoping work for the future ERA-NET on Climate Change and Food Systems. Scoping workshops involve discussion by scientists to articulate science problems that need to be addressed, usually followed by an announcement of an opportunity. Scoping workshops promote informal networking and discussion, rather than formal collaboration, but could lead to future connections. The Belmont forum is also an example of research matching. It has an online facility that allows scientists to register their details, expertise and interest in a call and find out the details of others that have registered in order to develop collaborations. It stays open throughout a call process. A Scoping workshop for the Belmont Forum Food Security Collaborative Research Action (CRA) took place 10 November in Sao Paolo (Brazil). The launch of this call is expected begin 2019. Devoting an issue of Private Sector and Development to venture capital and the world of start-ups in Africa means looking at a booming market, understanding the main components and discussing the potential negative externalities which can stem from this. Consequently, this report gives a voice to experts and avid players, who tell us about their experience. 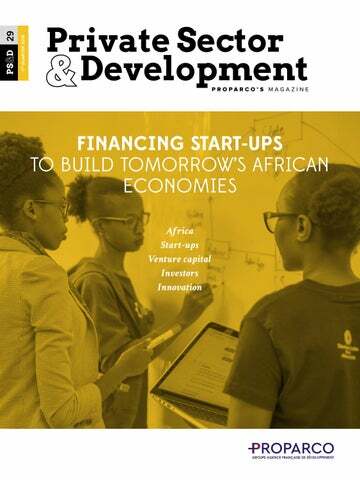 When reading the articles in this issue, the common thread is that development finance institutions (DFIs), which include Proparco, undoubtedly have a crucial role to play. For Agence Française de Développement (AFD) Group, this involves a complementarity of operations. Thanks to the work conducted upstream by AFD to establish an ecosystem conducive to the emergence of start-ups (through the creation of incubators, accelerators, etc. ), Proparco, for its part, can actively participate in financing these future “tech” champions in Africa. 14-15 June 2018. Plovdiv, Bulgaria. Research; Innovation for Food and Nutrition Security – Transforming our food systems. Second FOOD2030 High Level event. 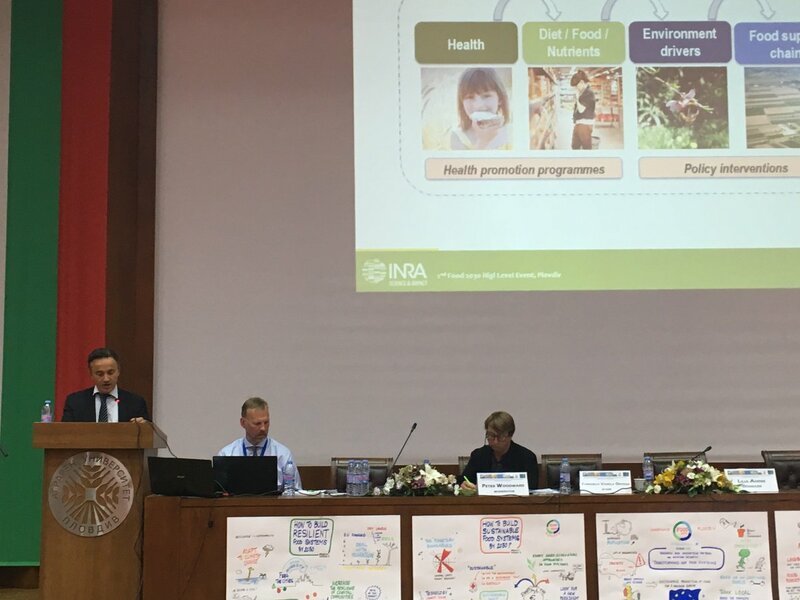 The Bulgarian Presidency of the Council of EU organised a Flagship Conference dedicated to Research and Innovation (Research and Innovation) as a driver of sustainable food systems transformation. 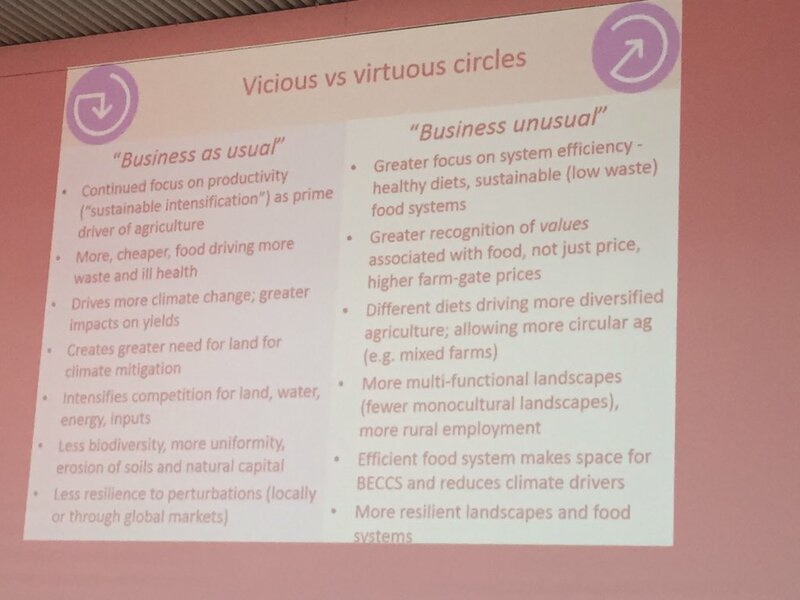 staying in a vicious circle of food systems. Or we can dare to switch to "business unusual"
Breakout Session 6: How to strengthen diversity of food systems by 2030? 13 June 2018. 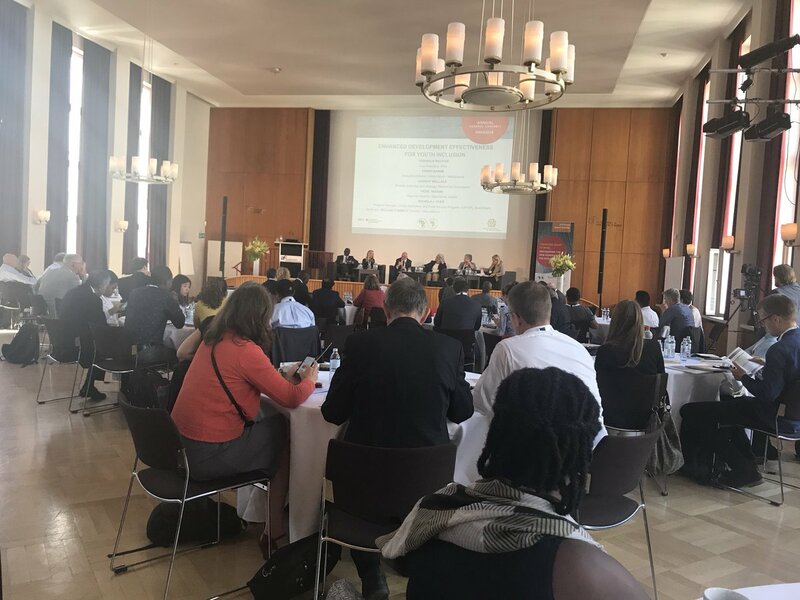 The FOOD 2030 side event entitled: “Workshop on Future-Proofing Food Systems” was jointly organised by SCAR Food Systems SWG and JPI HDHL, FACCE-JPI and JPI OCEANS. 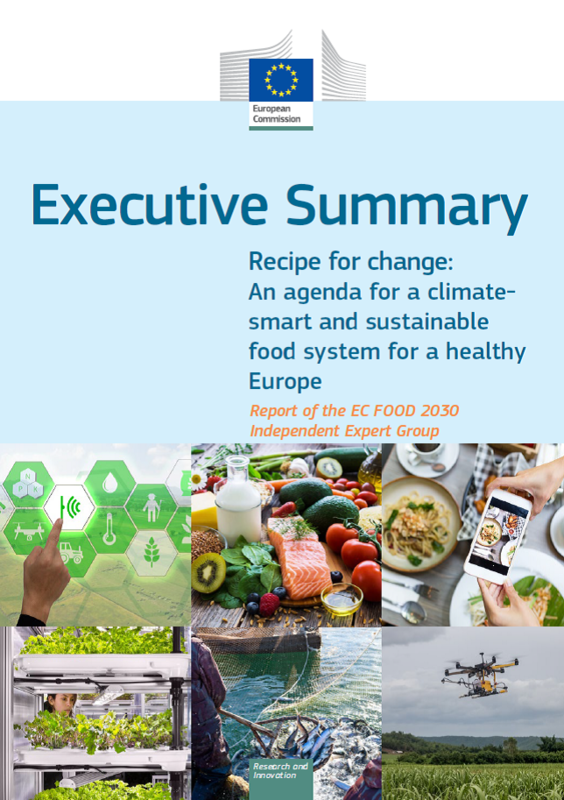 The objective was provide clear recommendations on how to move forward on sustainable food systems: to set the direction and to decide what the next steps are for future-proof food systems, in particular with a focus on the role of national Research and Innovation funding bodies within the context of FOOD 2030. 14 June 2018. Since the institution of the Global Framework for Climate Services (GFCS) in 2009, the need to deliver climate services has become mainstream (and expected) amongst National Meteorological and Hydrological Services (NMHSs) and climate science research institutions. In addition, the GFCS framework expects the development of climate services to include appropriate engagement and capacity development of users of climate information. However, the delivery of user-relevant climate information may not previously have been within the remit of NMHSs and research institutions and many will have to develop the expertise and capacity required to deliver it meaningfully. This webinar showcased learning from an assessment of the effectiveness and sustainability of seven African NMHSs to deliver CIS (Senegal, Ethiopia, Rwanda, Malawi, Mali, Cote d’Ivoire and Niger), and responses from an African NMHS, research institution, and donor to the assessment. For more information on the webinar content and speaker biographies, click here. Bob, Urmilla and Salomé Bronkhorst (Eds.) Climate Diplomacy Series. Berlin: Berliner Wissenschafts-Verlag. This edited volume focuses on conflict-sensitivity in climate change adaptation strategies and practices in Africa and brings together the voices of academics, practitioners and policymakers from across the globe and Africa. Key questions that frame the contributions are: how do climate change and/or climate adaptation projects cause or contribute to conflicts, and how can adaptation measures be conflict-sensitive? Extensive research provides insight into climate change effects and various mitigation and adaptation strategies – often in conflict prone or post-conflict states. Further, drawing on African experiences, the highly multi-disciplinary nature of the policy and practice of conflict-sensitive adaptation emerges. The volume provides compelling analyses and recommendations for the development of conflict-sensitive adaptation tools and policies. 18-24 June 2018. Climate Diplomacy Week is a time, where EU Delegations around the world reach out to communities and partner organisations, highlighting positive global action and collaboration on climate change. 2018 will see two Climate Diplomacy Weeks: the first one from 18-24 June and the second one from 24-30 September 2018. On 22 June, High Representative Frederica Mogherini will convene and host a high-level event on climate security. 13 June 2018. New video series on climate change, foreign and security policy. The Climate Diplomacy initiative is a collaborative effort of the German Federal Foreign Office in partnership with adelphi. The videos are supported by the Planetary Security Initiative. Security in the African continent is severely undermined by climate-related impacts such as droughts, floods and conflicts for resources. However, deep-seated ad-hoc approaches hinder a long-term perspective over the effects of these shocks on the continent's development. Aliou Dia, Africa Team Leader Climate Change and Energy at UNDP, stresses the need to mainstream climate security in national and regional agendas as a development issue. 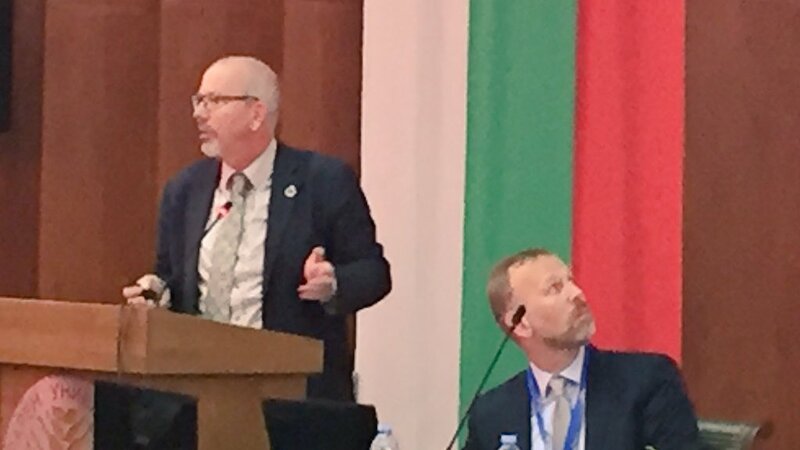 It cannot be overstated how valuable regional cooperation is for tackling the security dimensions of climate change. Ayan Mahamoud, shares how the programme's resilience building efforts are looking into the causes of resource-related conflicts in the Horn of Africa in order to develop a conflict-sensitive approach to the region's climatic challenges. When conflict breeds other conflict: Natural resource conflicts in Mali – Shreya Mitra - Adviser for Climate Change and Security at International Alert. As conflicts over natural resources play out in Mali, spillover effects can be felt throughout the Sahel region. Shreya Mitra, stresses the necessity of analyzing the underlying causes - internal and cross-border - and of applying conflict- and climate-sensitive approaches when responding to natural resource conflicts. Africa is extremely vulnerable to climate change. However, the continent is young and powerful. Why we have good reasons to be optimistic illustrates Ibrahim Thiaw. 13-14 June 2018. Berlin. Young and ready to move – empowering the new generation in the rural space. Annual General Assembly of the Donor Platform for Rural Development. The general objective of Annual General Assemblies (AGA) was to provide an open space for debate and possible consensus building by Platform members, partners and invited guests on emerging topics in agriculture and rural development (ARD). Stefan Schmitz | Federal Ministry for Economic Development and Cooperation. The above video is an edited version of the interview, for the GIZ sector project "Rural development" during Global Landscapes Forum December 2017. As part of the Technology Facilitation Mechanism mandated by the 2030 Agenda and the Addis Ababa Action Agenda, the annual collaborative Multi-stakeholder Forum on science, technology and innovation for the sustainable development Goals (STI Forum) provided a venue for facilitating interaction, matchmaking and the establishment of networks between relevant stakeholders and multi-stakeholder partnerships in order to identify and examine technology needs and gaps, including with regard to scientific cooperation, innovation and capacity-building, and also in order to help facilitate development, transfer and dissemination of relevant technologies for the sustainable development goals. It discussed science, technology and innovation cooperation around thematic areas for the implementation of the sustainable development goals, congregating all relevant stakeholders to actively contribute in their area of expertise. The session discussed the status of existing knowledge and technology, and explore the potential for how science, technology and innovation can support the achievement of SDG 12 on sustainable consumption and production. 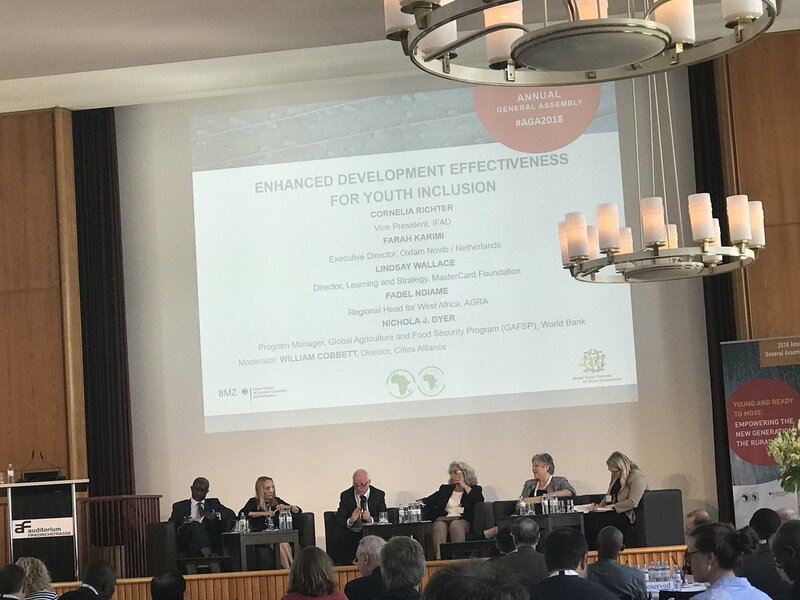 The session identifedgood practices and policy recommendations, as well as challenges and needs, especially as they relate to international cooperation, innovation and capacity-building, with a view to facilitate the development, scaling up adoption and dissemination of relevant technologies for SDG 12. Land for Life: Inga Alley-Cropping for Sustainability, Marian Van NoppenWorking with farmers and communities to halt the devastating practice of slash and burn agriculture by providing a sustainable, organic and low cost alternative: Inga alley-cropping. Some new digital platforms have much in common with traditional “gift economies”, in which services are exchanged based on trust and reputation. Related: Ms. Erika Kraemer-Mbula, Associate Professor, University of Johannesburg, South Africa @ WIPO. Is the informal economy in developing countries a hidden engine of innovation and source of intellectual property (IP)? Informal manufacture in South Africa. “Townsend, Robert; Ronchi, Loraine; Brett, Chris; Moses, Gene. 2018. Future of Food : Maximizing Finance for Development in Agricultural Value Chains. World Bank, Washington, DC. © World Bank. "Future of Food: Maximizing Finance for Development in Agricultural Value Chains" provides details on maximizing finance for development in agricultural value chains. 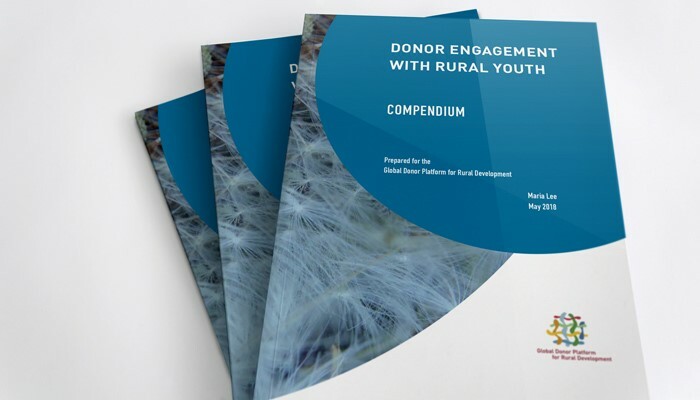 It highlights financing gaps, identifies a range of potential funding sources, and suggests possible actions to help crowd-in more private investment while optimizing the use of public resources. Current levels of investment in agricultural value chains are insufficient to achieve key development goals including ending poverty and hunger and boosting shared prosperity through more and better jobs. Crowding-in private investment in the agriculture sector can help achieve development goals and optimize the use of scarce public resources. Sources of finance for private sector investments in agricultural value chains are expanding. Sources include own-savings, local and international banks, value chains actors, impact investors, development financing institutions, private sector foundations, and agricultural investment funds. Factors that can help maximize finance for agricultural development include: Improving the enabling environment for the private sector, promoting responsible investment, improving the policy and regulatory environment, and using public financing to improve private incentives and to reduce transaction costs and risks—including through blended finance. There is still a critical need for public resources to finance essential public goods and services such as human capital, agricultural research, and complementary public infrastructure. 11-14 June 2018. Lilongwe. 12th International Conference on Community Based Adaptation. 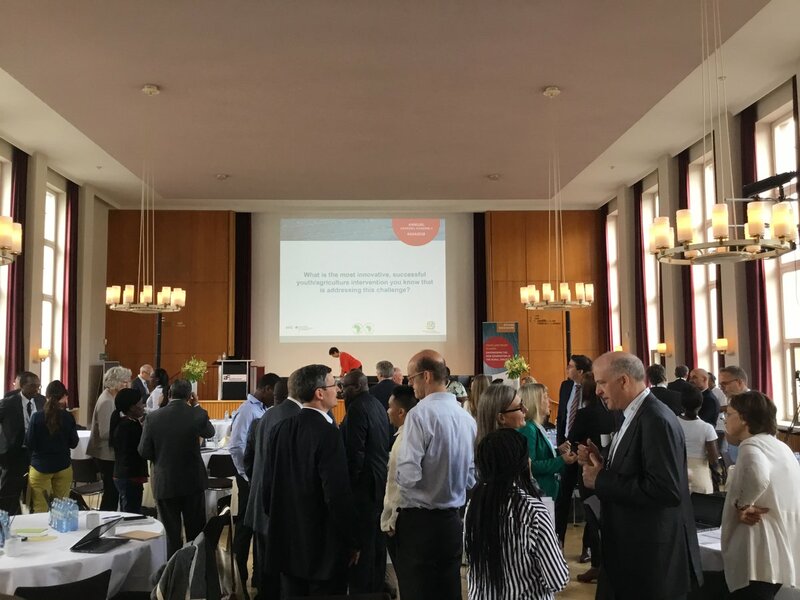 The CBA12 event was being organised by IIED in partnership with the Climate Justice Resilience Fund, GIZ, the Global Resilience Partnership, the International Development Research Centre, Irish Aid and Practical Action. 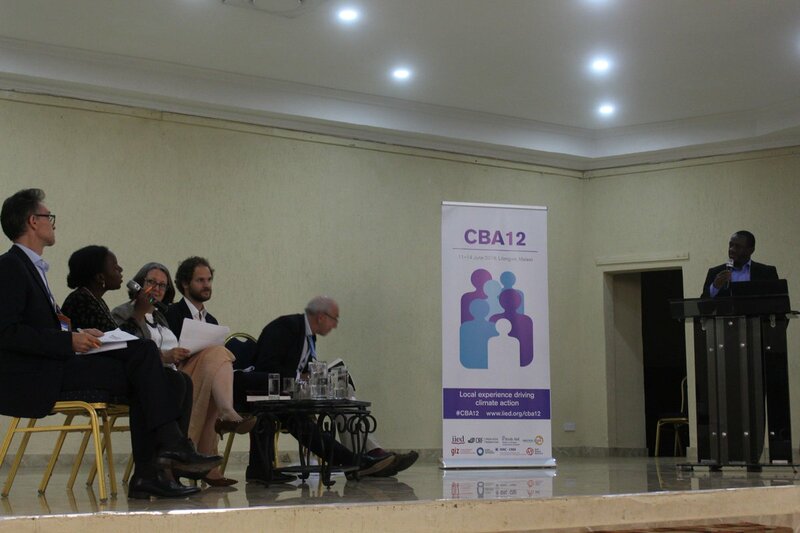 The CBA12 programme inluded two days of workshops, followed by two days of multi-stakeholder dialogues. Innovating in applying adaptation technology. 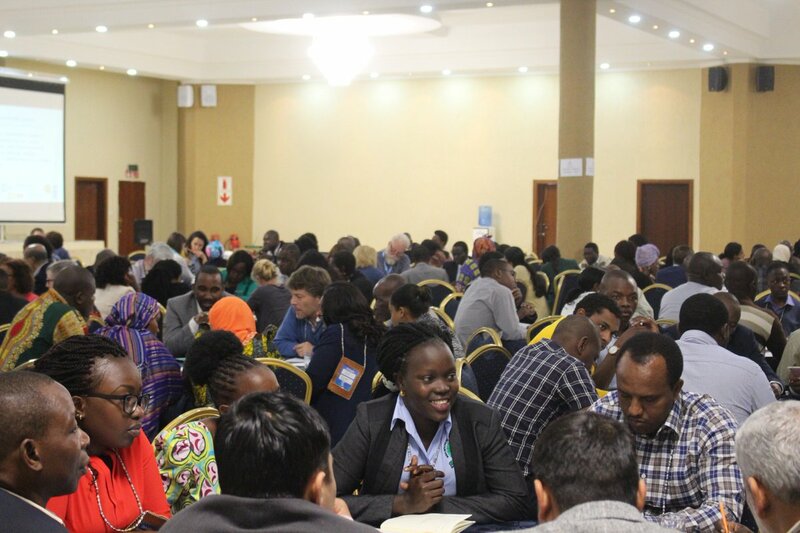 Policymakers and investors joined the multi-stakeholder dialogues on days three and four to discuss: how to propose and plan locally-driven climate investments; the enabling environment needed for scaling-out and up; and ways to further strengthen the community of practice. 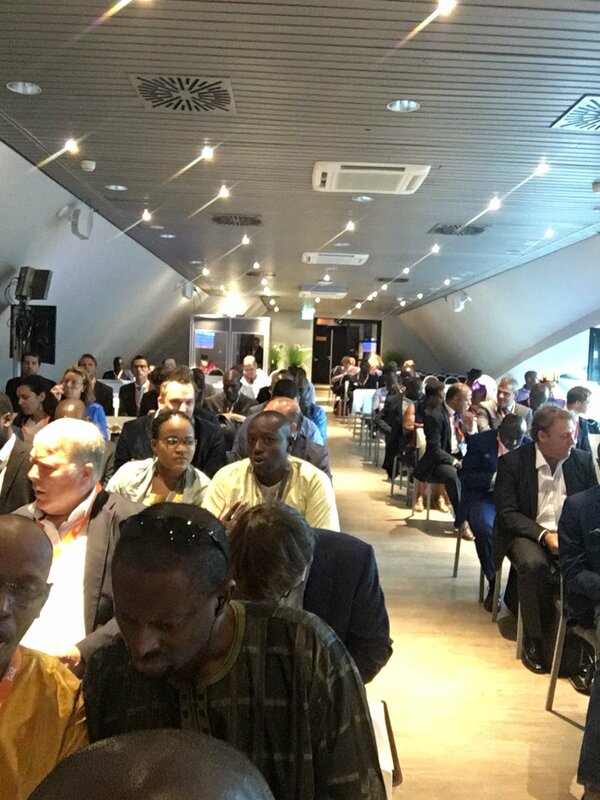 On day four the UNFCCC and the Least Developed Countries Expert Group convened the Regional National Adaptation Plans (NAP) Expo as part of CBA12. 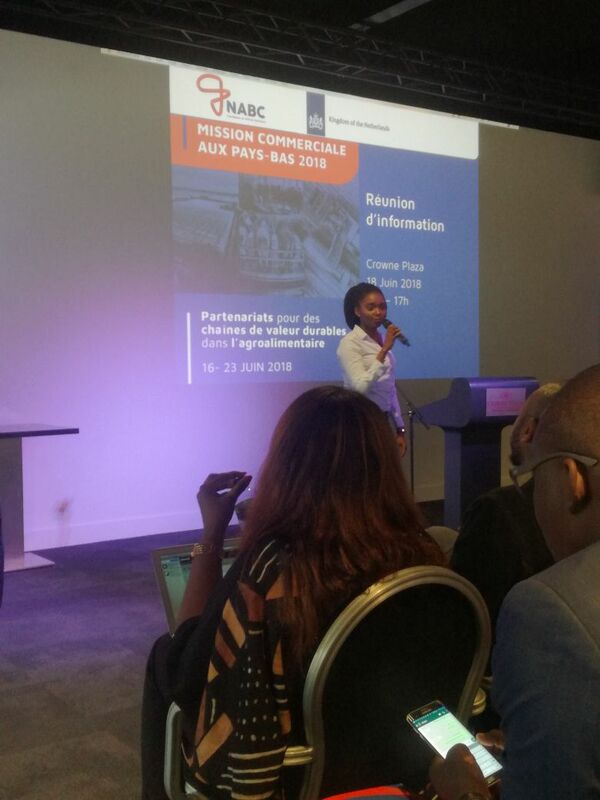 This follows the Regional NAP Expo programme at CBA11 (PDF), and the workshop explored issues including how well locally-driven climate action is working within NAPs. Related: Guideline – Assessing Climate Risks and Vulnerabilities in Market Systems seeks to orientate and support practitioners by bringing a climate risk perspective into market system development projects and identifying the most climate-resilient sub-sectors in a given context. 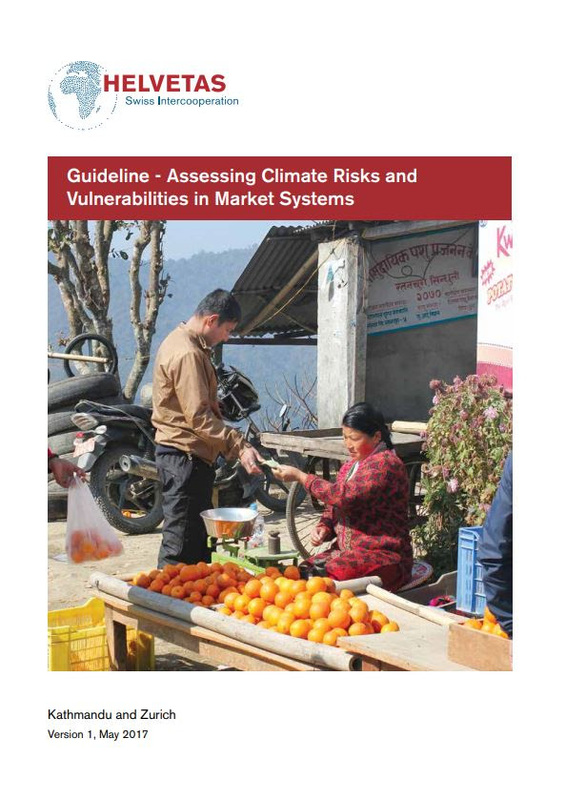 In its applications in Nepal and Madagascar, the Guideline proved to effectively support the shift from reaction to proactively addressing climate variability and supporting changes in market systems. It also allows identifying new opportunities in a changing climate. The Guideline helps (small-scale) businesses in better understanding climate risks and opportunities in their sub-sector, identifying emerging market opportunities and developing a comprehensive climate risk management approach for the enterprise. The overall objective of the Guideline is to identify the most climate-resilient sub-sectors in a given context and to determine potential impacts and relevant measures in the field of adaptation to climate change and disaster risk management to further increase resilience in the market system. the market system development approach. The joint approach leads to a series of eight steps, structured according to MODULE A and MODULE B. In short, the Guideline is not a new tool, but builds on existing approaches (i.e. risk assessment tools such as the Community-based Risk Screening Tool, Adaptation and Livelihoods – CRiSTAL; the Climate, Environment Disaster Risk Integration Guidance – CEDRIG; and approaches related to market systems development). 23 May 2018. 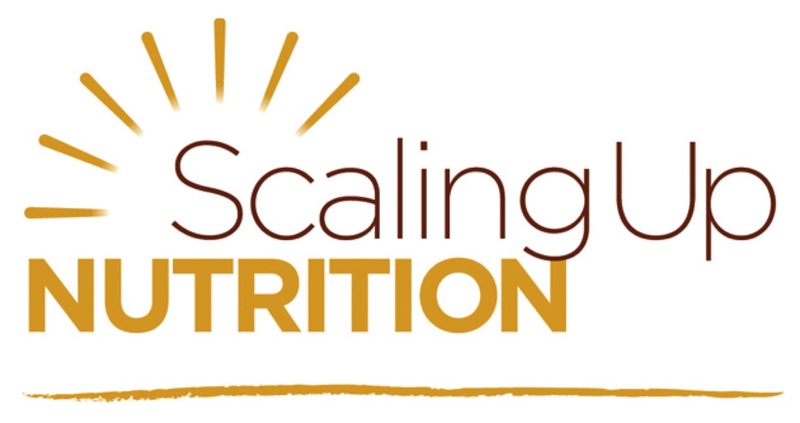 The Access to Nutrition Foundation (ATNF) published the 2018 Global Access to Nutrition Index – the third Global Index that ranks the world’s 22 largest food and beverage (F&B) companies on their contributions to addressing the twin global nutrition challenges of overweight and diet related diseases and undernutrition. The Index measures companies’ contributions to good nutrition against international norms and standards. The Index also includes a separate ranking of the world´s leading manufacturers of breast-milk substitutes (BMS), as well as a newly added Product Profile, which measures the healthiness of companies’ product ranges in nine markets. The 2018 Global Index received a significant amount of media coverage with news outlets in the Netherlands, France, Spain, the U.S, the U.K, Brazil, China picking up the story. Critical Capital forAfrican Agri-Food SMEs.